How do I know if Smarturns will work on my stove? The current version of Smarturns is designed for both Gas and Electrical stoves operated using knobs. Please go through the http://www.tochtech.com/checkstove2/ for a quick check. Do I need to have internet access and a mobile phone to use Smarturns? You don’t need to have internet access and a mobile phone to use Smarturns. Without the internet or a mobile phone, the Hub will work as an automatic, local alarm, alerting the stove user when the he/she is away from the stove for 5 minutes* (default timer). You can always contact technical support at support@tochtech.com to change the default timer. However, without internet access and a mobile phone you will not be able to monitor stove activity remotely. 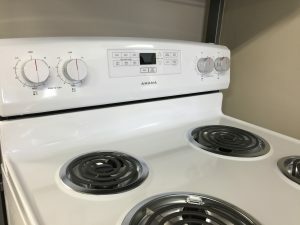 Can I use Smarturns on my Gas stove? Can I use the Smarturns App to control my stove, for example, turn my stove on or off? You will not be able to control your stove (turn it on and off) from the Smarturns App. The Smarturns app will inform you if the stove has been inadvertently left on. You can use the Smarturns app for remote monitoring and receiving alerts if the stove left unattended. Does Smarturns change the way I use my stove? Absolutely not! Smarturns is a product that protects you and your home from a kitchen fire accident. Use your stove as you normally would. How do I install the Smarturns? If the wireless connection to the Internet fails, the Smarturns knobs and local hub alarm will continue to work. There is NO impact to the use of stove. However, while the internet connection is lost, new notification messages will not be sent to mobile phone until the internet connection is re-established. If I buy one Smarturns for myself and second set for my parents, can I monitor multiple Smarturns on my mobile phone app? How long do the batteries in the Smarturn knobs and motion sensor last? What if I have more than 4 burners on my stove? How do I get more knobs? 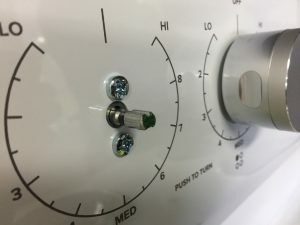 The current Smarturns product supports up to 20 knobs. Please contact support@tochtech.com to purchase additional Smarturn knobs. Will Smarturns integrate with the other smart home devices? We have Smarturn Zigbee coming soon, which can be integrated with your existing zigbee network. Smarturn Zigbee knobs will be available soon, please subscribe to our website to get the latest updates. Of course! You can email us anytime at support@tochtech.com. We would love to answer your question.